FINALLY, Say Yes To Success! With 500+ offices in key markets across the US, Weichert is one of the largest independently owned providers of real estate services in the country and is a recognized leader in the industry. We support our team members with the best resources and award-winning training. Additionally, Weichert Workforce Mobility, one of the top relocation firms in the world, has allowed us to grow from a local market leader to a global powerhouse, focused on real estate and homeownership services. Our founder, Jim Weichert, began his career as a Sales Associate. His approach was personal; he sold houses by focusing on people. This friendly, welcoming attitude helped Jim succeed with customers, but it also led him to develop the philosophy that informs all of our business to this day: namely, that people buy people before they buy products and services. Employing that philosophy enabled Jim to create the team of helpful, knowledgeable and responsive Sales Associates who have built our company into one of the largest independently-owned providers of real estate services in the country. Ours is a great team, and we are proud to support it with the best training, the best resources and the best working environment in the industry. You see, there really is a Weichert difference... and it’s what makes Weichert a truly special place to work. Quick Weichert Fact: Our award winning training program is one of the best in the industry. We understand real-estate sales, and we know how to teach you the skills and techniques you will need. Fast Track, our program designed specifically for beginners, will get you started earning in no time. Success track, for more experienced agents, will streamline your transition and introduce you to the tools that will increase your success. 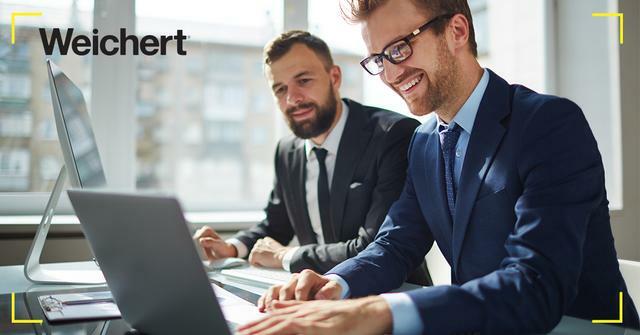 PartnerUp Program, is designed to help new associates get started in the real estate business by having them partner with an experienced, top producing sales associate who embraces Weichert's tools and systems. WEICHERT UNIVERSITY - THE BEST COURSE YOUR CAREER CAN TAKE! From the moment you choose to join Weichert, Realtors, we're working to help you expand your business. Through WEICHERT UNIVERSITY you'll be able to upgrade your computer skills, master new tools, and refresh yourself with dialogue and tips on everything from building relationships to negotiating. MORE HIGH QUALITY LEADS THAN ANY OTHER REAL ESTATE COMPANY IN THE NATION! Weichert.com is among the top 1% of all real estate broker websites. No wonder it generates more leads per associate than any other real estate company. Of course it doesn't hurt that our strategy includes the award winning Weichert Lead Network, a contact center based process with a unique ability to convert on-line house hunters into actual buyers by immediately connecting them to a local Weichert sales associate like you!